Luvada Cummings Sparks was born on July 16, 1934 in Hancock County, Georgia to the late Ada Bell Cummings. On January 19, 2019 God spoke and called his beautiful angel home. At an early age Luvada accepted Christ into her life as her personal Savior. She was a devoted member of William Grove Baptist Church until her health declined. After receiving her education through the Hancock County School System, Luvada earned her license as a beautician. She was a devoted mother as well as a nurturing grandmother, who loved her family dearly. One of her passionate hobby was baking cakes. She was preceded in death by her husband, Samuel Sparks, her grandparents, Ivory and Zeffie Cummings, a son, Eugene Hawkins, two daughters, Luverne H Hill and Bernice H Johnson. 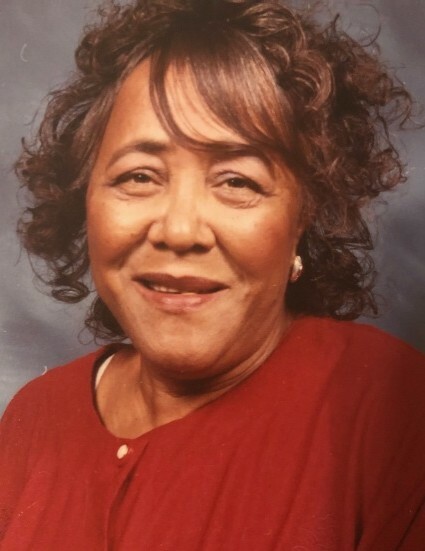 Luvada leaves behind to cherish her memories; four children, Sallie (Cemonia) Beall, Walter (Charlene) Hawkins, of Warrenton, GA, Louise Hawkins of Augusta, GA, and Nadine Hawkins of Atlanta GA; stepdaughter, Geraldine Sparks, of Atlanta, GA, one special grandson she raised as her own, Kathay “BoBo” Hawkins of Augusta, GA; one sister, Ruby “Pete” Cummings of Thomson, GA; and her brother-in- law, Milton Mobley of Atlanta, GA, seventeen grandchildren, forty three great-grandchildren, six great-great-grandchildren and a host of nieces, nephews, cousins, friends and other relatives. Services entrusted to Dawson’s Mortuary – 98 Hopgood Street, Warrenton, GA.